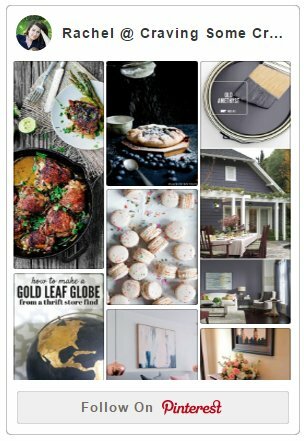 I’ve got a great collection of ideas from bloggers and friends that will show any Mom in your life that you appreciate them. Click on the picture or link to find some fantastic tutorials, printables, and gifts! 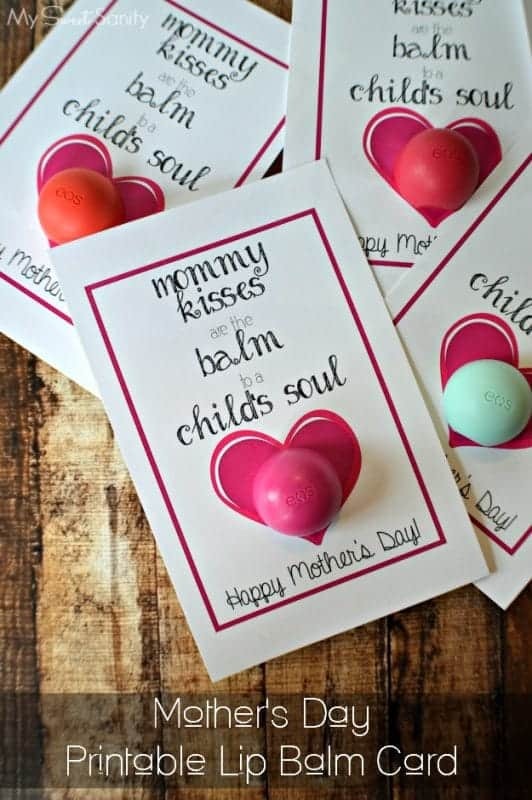 A sweet note can turn a simple gift into something heartfelt like these Printable Lip Balm Cards from My Sweet Sanity. 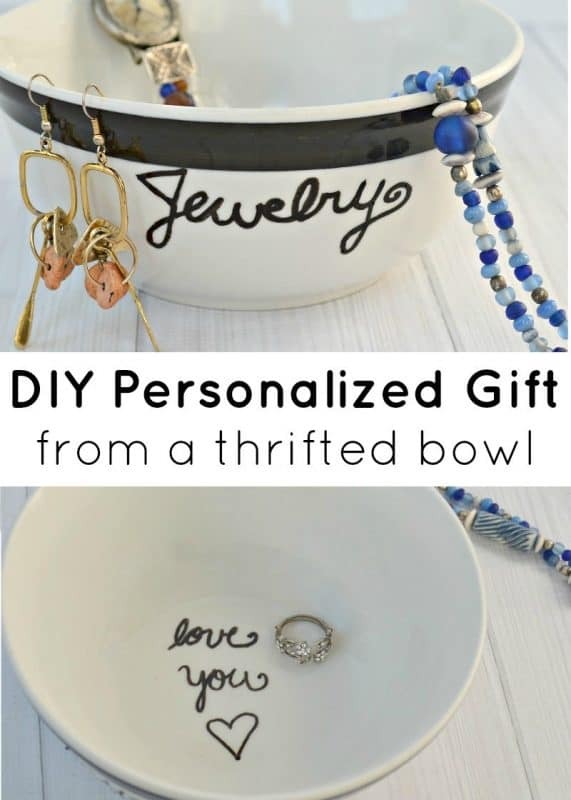 Turn a plain bowl into something special with this personalized gift from Organized 31. It is also a bonus that makes a beautiful kid’s craft. Mom does a lot for us and guides us through life to grow up to be useful and productive adults. 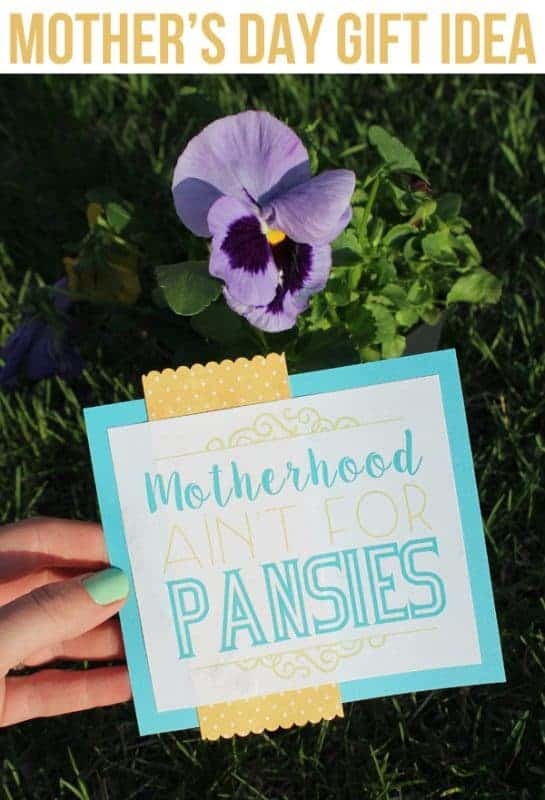 If your mom has a gardener’s spirit, this Thank You for Helping Me Grow Printable will be a gift that will last much longer than traditional flower bouquets. Little handprint crafts can be so fun for small children and make a great memento for Mom. 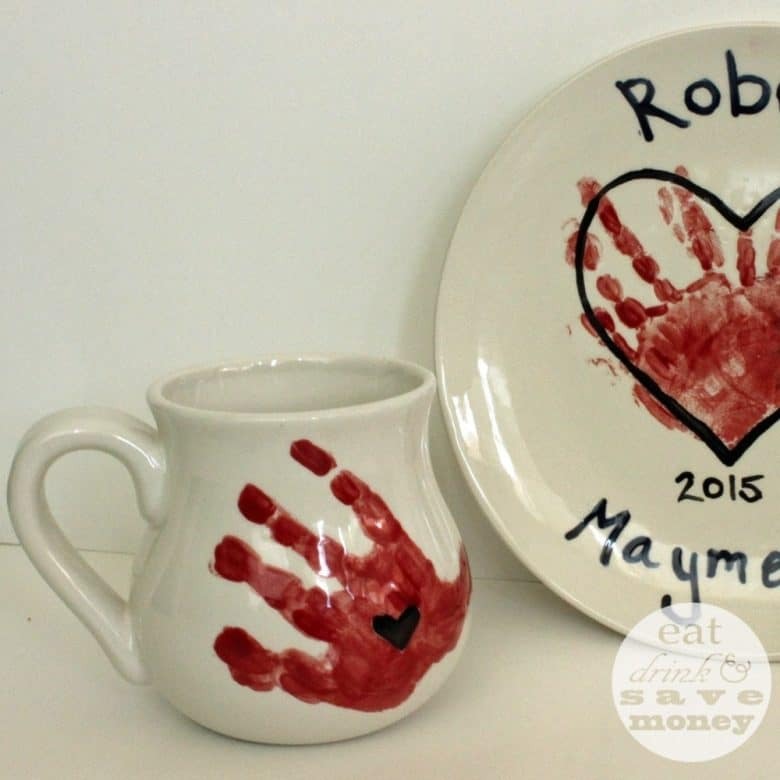 Paint your own pottery handprint crafts can also double as some special time with the kids. How about breakfast in bed?! 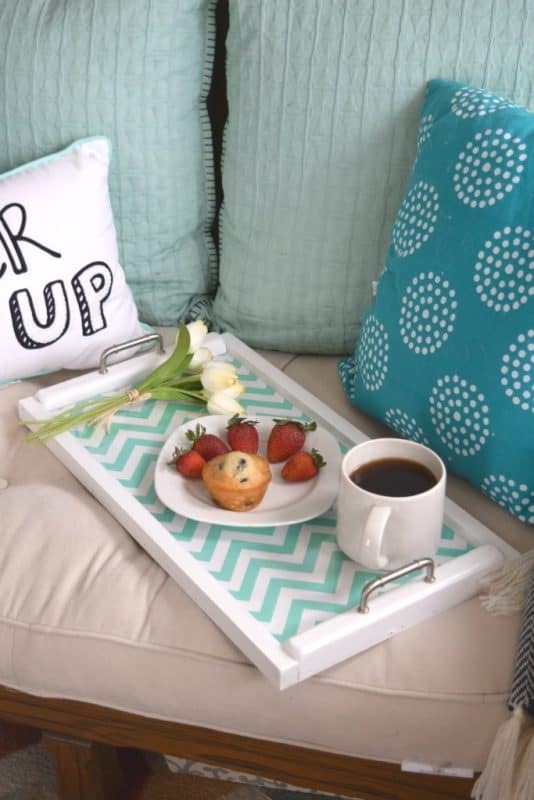 This beautiful DIY serving tray from Our House Now A Home also includes an interchangeable backing so you can add a sweet note to mom that she will cherish. Handmade jewelry is a thoughtful gift for Mother’s Day. 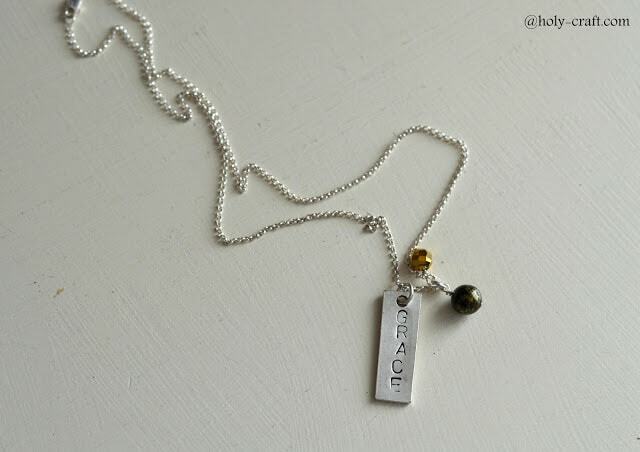 Holy Craft shows you how to make these hand stamped jewelry in a snap. 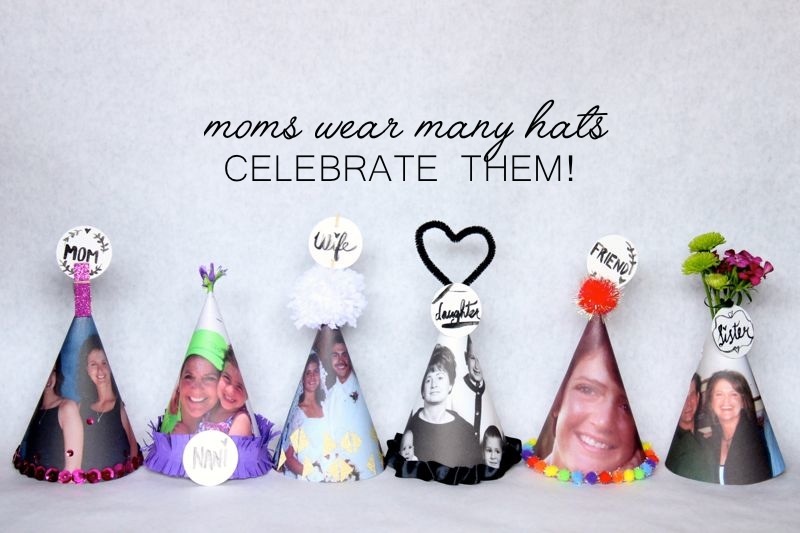 Moms wear many hats and there are lots of Moms in our lives that deserve to be celebrated. These party hats to celebrate mom from J. Sorelle are also fun for kids to make! I don’t know a mom who wouldn’t appreciate a day off. 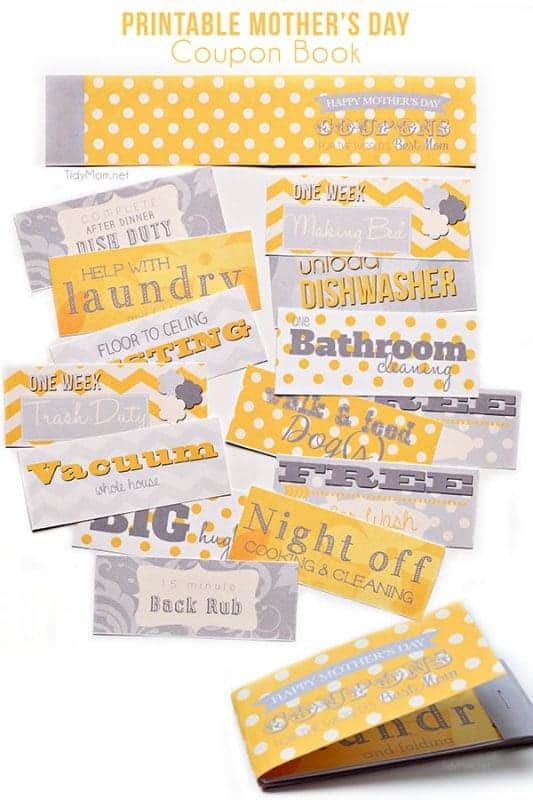 These adorable coupon book printables from Tidy Mom is a great way to surprise mom with a gift she can use all year long. Moms all need to treat themselves occasionally. 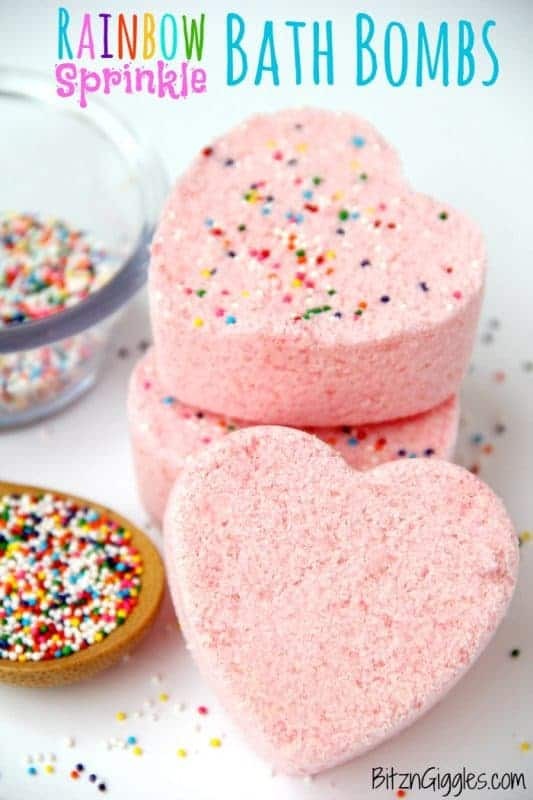 These Rainbow Sprinkle Bath Bombs from Bitz &Giggles are a cute easy craft to make for mom to show her you care. Kid’s say the darndest things, don’t they? Give mom a good laugh and show how much you love her with this sweet Fun Facts About Mom printable from The Girl Creative. Check out our other lists of great gift ideas! To all the Moms out there, you are loved and appreciated for all the hard work, sacrifice, love, and joy that you bring to our lives! I absolutely love the rainbow sprinkle bath bombs. Lush bath bombs are my mom’s favorite but I’d love to be able to make them for her instead. Thanks for sharing!